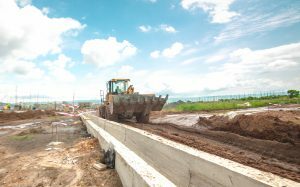 Global engineering and construction group Stecol Corporation has been appointed as the lead infrastructure contractor at the residential enclave of Kijani Ridge in Tatu City. Under the multi-million shilling contract, Stecol will complete the construction of Kijani Ridge infrastructure, including roads, water, sewage, street lighting and storm water management. Work has already started and is expected to be completed by early Q2 2019. A Stecol representative outlined the company’s plan, saying it would ensure that construction work is completed within the allocated time. “We are excited to start our second infrastructure project at Tatu City and have already commenced work. Stecol has been in the Kenyan market for many years, and we are happy that a visionary new city builder such as Tatu City has chosen us. Our previous work is proof of our capability to deliver to the highest standards,” said the representative. Stecol Corporation completed national infrastructure projects in Kenya such as the Thika Super Highway and the Outer-Ring Road. Other projects include delivery of urban infrastructure, industrial and civil buildings and electro-mechanic and pipeline works across Kenya and around the world. Kijani Ridge is a premier community set on 250 acres of undulating land overlooking a beautiful dam and green space at Tatu City. It has spacious, individual-serviced plots and contemporary architectural designs with fully integrated amenities. There are 439 half-acre and quarter-acre plots in Kijani Ridge divided in phases. Phases one and two are sold out, while phase three is more than 60% sold. A Special Economic Zone with reduced corporate taxes and zero VAT, Tatu City is attracting major business owners who wish to live within a short walk of their company headquarters.